For the last 20 years at least, most scientists have poured scorn on the idea that dinosaurs could be cloned using the method popularised in the first Jurassic Park film — extracting DNA from an insect entombed in resin. A few years ago scientists studying fossils in New Zealand revealed that the bonds that form the backbone of DNA would be entirely degraded — useless — after 6.8 million years. And seeing as dinosaurs last roamed the Earth 65 million years ago, that ruled out any realistic chance of sequencing their genome. Regardless, de-extinction remains highly controversial, and Shapiro has become a go-to expert on the matter. Carl Zimmer writes in Wall Street Journal, “For anyone who wants a thorough understanding of the technical issues involved in de-extinction, How to Clone a Mammoth should satisfy your curiosity.” During Shapiro’s European tour, she was interviewed about her book for BBC World Service, The Forum and the interview is now available online. Beth was also interviewed for BBC Radio Wales Science Café, as part of a program featuring scientists speaking at Hay Festival. Voice of America aired their interview with Beth recently as well, as did CBC Radio’s national science program Quirks & Quarks. If you’re looking for eerie similarities between life and art in this case, rest assured they do exist. According to Shapiro, as in real life, “Jurassic Park scientists were only able to recover parts of the dinosaur genome—in the case of the movie, from the mosquito blood that was preserved in amber.” Prospect Magazine’s website has just run an abridged extract from How to Clone a Mammoth where Shapiro elaborates on the real (and not so real) science of Jurassic World. You can also check out the series of original videos by Shapiro on the real life science of de-extinction here. 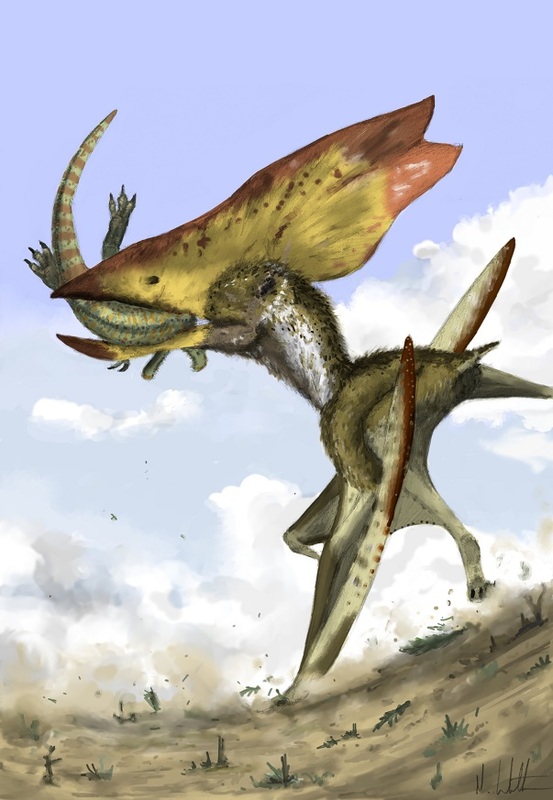 Pterosaurs is meant to provide an interesting read for researchers and diehard enthusiasts, while still being approachable for those who are yet to really acquaint themselves with flying reptiles. If you’re familiar with the Unwin and Wellnhofer books, you know the tone I’ve aimed for. (Those interested in reading a sample of the text will want to download the first chapter from Princeton University Press, and check out an early draft [essentially unchanged in the published text] of Chapter 17.) Pterosaurs is, of course, more up to date than either of these books. Only seven years passing between this book and the last, but the differences are quite pronounced. Despite both Unwin’s and Wellnhofer’s books dating very well, whole groups of pterosaurs have been discovered since their publications (e.g. ‘boreopterids’, chaoyangopterids, wukongopterids, and many more in the case of Wellnhofer’s tome) and ideas of pterosaur lifestyles and habits have changed considerably. It’s of small significance in this field of three modern pterosaur books but, by default, Pterosaurs is the most up to date synthesis on these animals currently available. Thalassodromeus sethi, a pterosaur with a most unfortunate name, showing a baby Brazilian spinosaur that the food chain works both ways. One of my favourite paintings from Witton (2013).